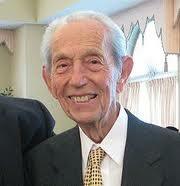 I’m sure by now you’ve heard that Harold Camping is predicting that the world will end on May 21st. I am equally sure that a few short weeks ago you had probably never heard of Mr. Camping. Another wonderful example of our sensationalist culture (Quran burning anyone?). Many have already done a wonderful job of refuting the teaching of Camping–Al Mohler is just one example–so I need not repeat those arguments here. What is do think should be noted, however, is how Harold Camping exemplifies the necessity of community. Robert Godfrey had close interaction with Camping for years, and thus brings a unique perspective on this episode (you can read his 5 part critique of Camping here). In a telling instance, Godfrey describes how Camping isolated himself from the community of believers, instead opting for an individualistic approach to biblical interpretation. As we have noted before, if you are the only one saying something chances are you’re wrong. In the two thousand year history of the Church no one has ever predicted the return of Christ to be May 21st, 2011. Many others–Camping included–have predicted other dates for the Second Coming, but these too are isolated individuals who did not submit their interpretation of Scripture to the Church Body. The clarity of Scripture for the believer is an essential truth of the faith, but we should always be checking our interpretations against trusted members of the community. Good point, yet another reason that fellowship with the body of Christ is imperative to test our theological ideas.